Do you or a member of your family eat canned foods on a regular basis? Soups, fruits, veggies, chili, and so forth? If so, stop throwing those cans away! Tin cans are one of the most valuable types of so-called trash. 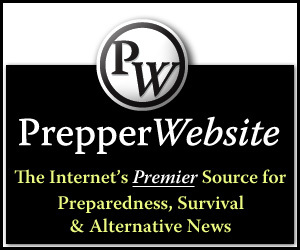 There are literally dozens of ways you can use them in a survival scenario, for living off the grid, or just to save money. 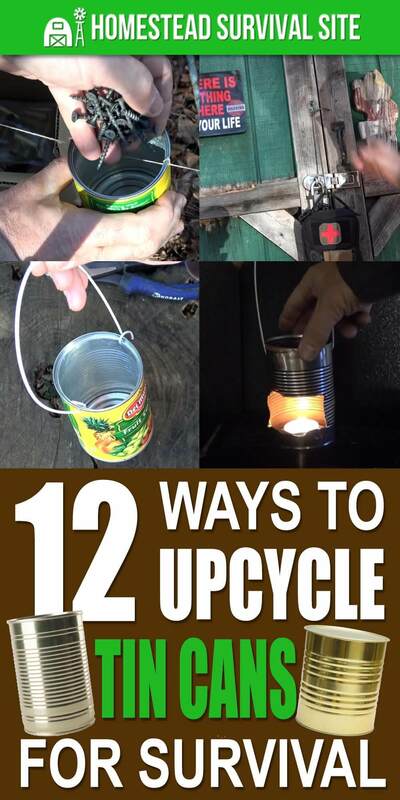 In this video, Sensible Prepper gives twelve examples of ways you can upcycle tin cans. For most of these, you’ll want to remove the label and get a pair of tin snips. Also, be very careful because the edges are really sharp. 1. Make a Scoop – Just cut the can in half long ways with the tin snips. 2. Make a Signal Mirror – Cut off the lid, rub it with aluminum polish, and poke a hole in the center. 3. 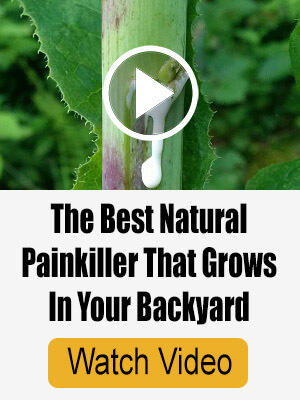 Make a Small Pail – Punch a couple holes in the sides near the top of the can, thread the long end of a metal clothes hanger through the holes, fold the wire into a handle and twist tie the ends in place. 4. Make a Perimeter Alarm – Poke a couple small holes in the sides near the tops of several cans, thread twine through all the holes thereby chaining all the can together. Then, tie the chain between two trees and fill the cans with rocks or anything noisy. 5. Make a Tea Light Candle – Cut off the lid, cut a rectangular window near the top of the can. Attach a handle (like in #3 above), put the lid back, light the candle and set it inside. 6. Make an Arrow – Cut out a large triangle from the can and keep trimming it into the shape of an arrow. Next, cut a groove into the end of a stick and put the arrow into it. Use a string to tie it in place. 7. Make a Scraper – Cut out a trapezoid-like shape. This could be used for cleaning or scraping something off. 8. Make a Small Lure – Cut out a small roundish piece, poke a hole in one end, and attach it to your fishing line. 9. Organize Your Stuff – I already have cans in my garage filled with screws, nails, bolts, etc. 10. Make a Hanger – This only works with a pull-tab lid. Pull it off, then cut part of it to form a hook. 11. Make a Knife – Just remove the lid and fold it in half. Could be used for skinning small game. 12. Make a Stove – For this, you’ll need an old-fashioned can punch opener. 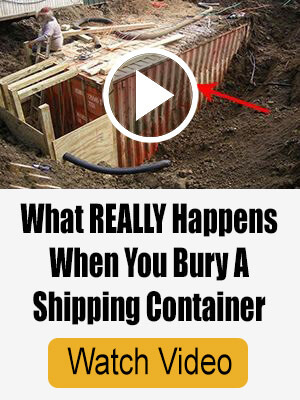 Rather than explaining this one, I’ll just let you watch the video below. The instructions start at 12:35. Be sure to watch the whole video to see him make all of the other things.